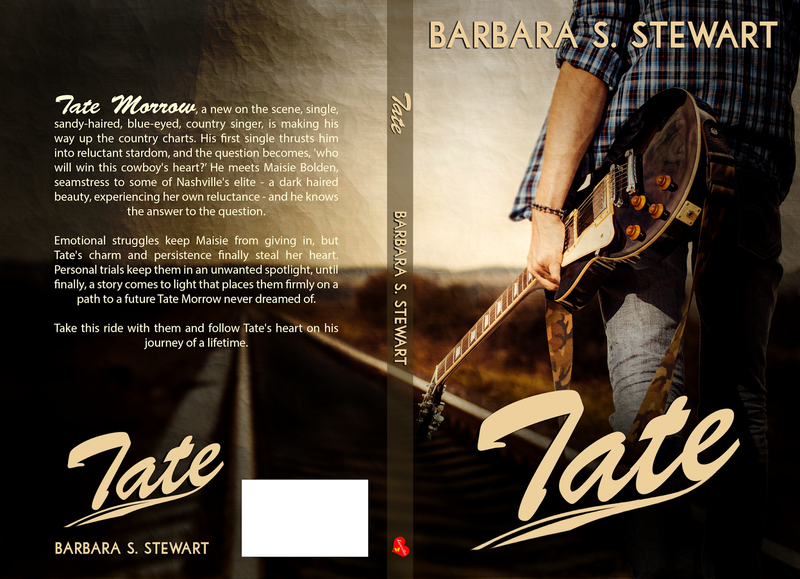 Check out the cover of Barbara S. Stewart's next book Tate. Tate is due for release on April 2nd. I drove down the long dirt road that led to Mama’s. About halfway down the road, I parked my truck along the side and looked toward the house. I’d walked down that dirt road so many times as a boy that I knew every inch of it. This road was where I learned to drive. The moon was shining bright on the hayfield, and I thought about all the years I’d spent there. I’d be leaving my home the next day. I’d lived on campus the first year and a half of college, and then moved back in with Mama until I started at UPS. I stayed there every weekend, though. It was easier than driving back across town. This house had been my home my whole life, and Mama’s home before that. Memories flooded my head. That big wrap around porch was the place where I taught myself to play the old guitar that Uncle Jim Bob gave me. It was an old beat up thing with rusty strings. Together we restored it and I got better and better at playing it. I still use it; I can’t imagine letting it go. There’s a piano inside that Mama made me learn to play, too. Oh, I acted like it was drudgery and I hated it, but I loved it. The feel of the keys, cool beneath my fingers, was magical. The sounds that came from just touching them were heaven to me. Music. It was everything to me.